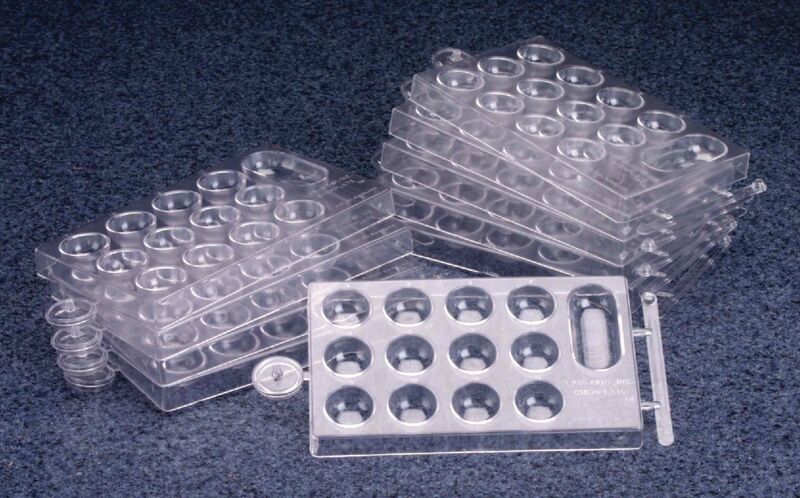 Eliminate the need for glassware and provide a semi-micro environment for conducting many experiments with this clear tray about the size of an index card. You can use Chemplates instead of test tubes, as a demonstration vessel for your overhead projector, for individual student experiments, or even as a gas generator or water reservoir. Twelve large numbered cavities are molded into the high-impact plastic. In addition, each plate has a jumbo-sized cavity and a snap-off measuring spatula. 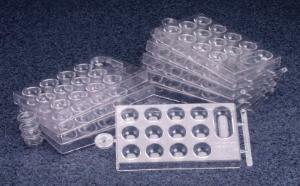 Gas collecting tubes, available separately, fit the Chemplate caps. Package of ten.